Annual Athletics Awards Banquet Recognizes Outstanding Players and Coaches. 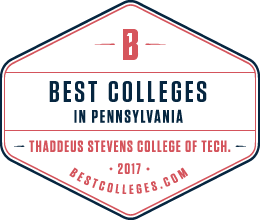 The Gene Haas Foundation has awarded Thaddeus Stevens College of Technology a $1M grant to expand access to education and training in computer integrated machining, and to support the College’s strategic initiatives to advance careers in STEM. The work of graphic artists and printers plays an important role in our visual world. From websites to magazines to brochures to packaging, designers give artistic life to ideas and products.